Now you can offer families a wide variety of personalized Register Books and Stationery without maintaining a large inventory. FREE use of the powerful Lifelong Memories Publisher Software enables you to print 100’s of different themes of Register Books and Stationery items. 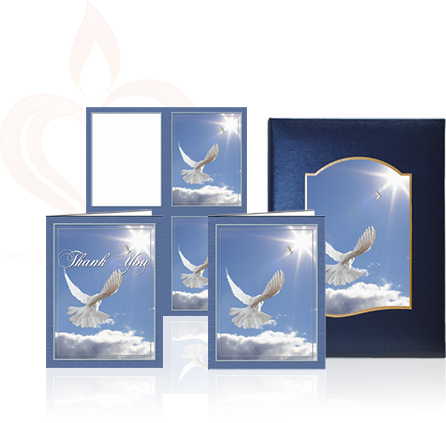 Simply Personal Funeral Stationery by Lifelong Memories allows your funeral home to quickly, easily and cost-effectively create and personalize funeral stationery products. 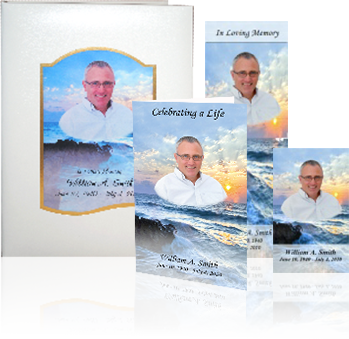 Use the Lifelong Memories Publisher Software to easily add photos and text to the Simply Personal preprinted stationery products. 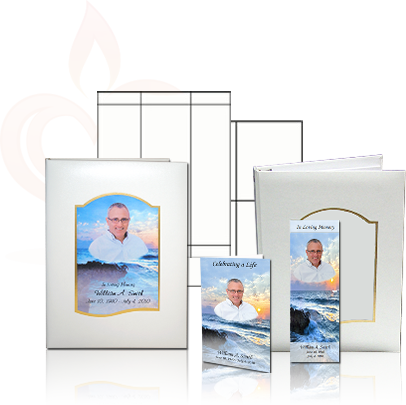 For those funeral homes that wish to provide a more traditional style folder, preprinted stationery is available. 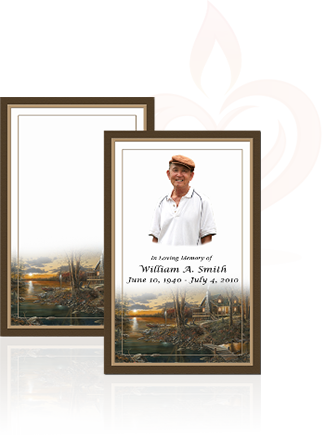 Preprinted Stationery products customized to your funeral home are also available. Get a quote for custom printing options.